See every detail in brilliant color. 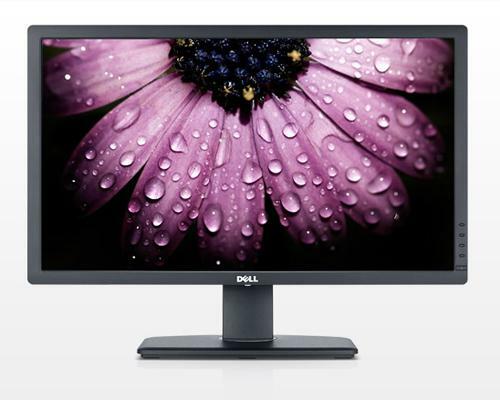 Cinema-like clarity shines on the expansive 27" DellTM UltraSharp U2713HM monitor. Comfort settings and connectivity options help keep you productive. WQHD resolution and accurate colors out of the box: Superb clarity with 2560 x 1440 resolution and over 3.6 million pixels. Features a color gamut of more than 99-percent sRGB. Excellent comfort and usability: Full adjustability including swivel, tilt, height adjustability and pivot which lets you easily switch to portrait mode. Eco-friendly design: Compliant with the latest environmental standards and made using environmentally conscious materials. Ultimate viewing lives on a grand stage. 2560x1440 WQHD resolution: Over 3.6 million pixels provide amazing clarity on a spacious 27" LED-backlit display. Easily adjust screen brightness to suit your environment. Accurate color right out of the box: Carefully color calibrated at the factory, the U2713HM monitor features more than 99-percent sRGB color space for impressive color from the moment you set it up. Wide-angle viewing: Uncompromised color consistency across an ultra-wide viewing angle of 178°/178° gives you broad viewing flexibility and lets you collaborate easily. Full adjustability: Work comfortably and view images from a variety of positions with swivel and tilt. Easily switch to portrait mode with pivot. Set your U2713HM to the optimum height with a height-adjustability range of 115mm. Latest connectivity options: Seamlessly connect your monitor to your desktop, laptop and peripherals such as digital cameras and Blu-ray or DVD players. Digital and analog connections include four USB 3.0 ports, DisplayPort 1.2, DVI (HDCP) and HDMI. Stay productive with Dell Display Manager: This one-stop software tool lets you quickly access applications such as Auto Mode, Easy Arrange and PowerNap. Use Auto Mode to adjust or auto-assign preset modes to specific applications. Use Easy Arrange to neatly tile your applications, arranging them in your preferred layout. Meets latest environmental standards: The U2713HM monitor meets EPEAT® Gold and TCO Certified Displays standards, is ENERGY STAR® qualified and CECP compliant. Made with responsible materials: This monitor is made with arsenic-free glass, a mercury-free panel, uses 25-percent post-consumer recycled plastics in its chassis and BFR/PVC-free laminates in its circuit boards. The U2713HM also ships with environmentally responsible packaging. Helps save resources: Enable PowerNap mode to reduce power consumption by dimming the monitor to minimum brightness or by putting it into sleep mode.